Hi there all my bosom buddies...today is our 40th wedding anniversary. The man should have written the small print..."in sickness and in health..."!!! Well he's certainly shown his dedication in that department, that's for sure. 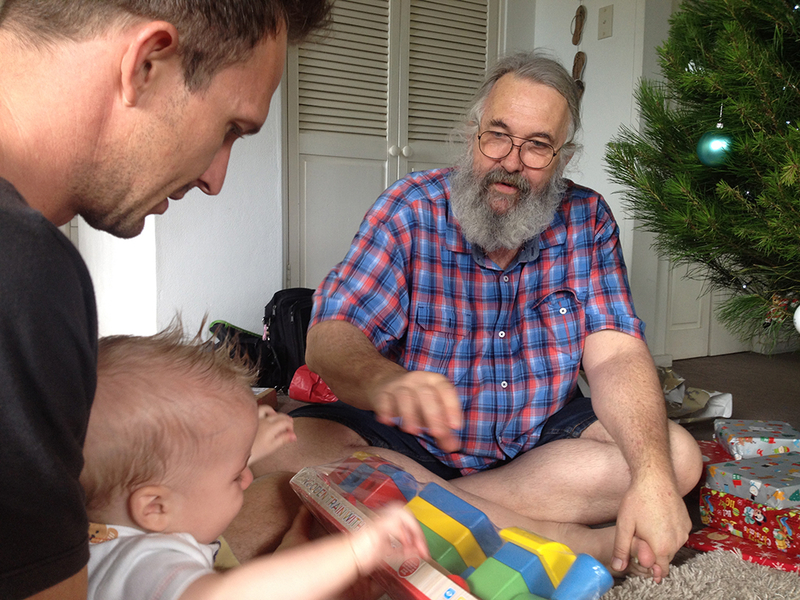 A photo of the three men in my life and the ones I love most, my husband, son and grandson taken at his first Christmas. Well done, both of you, and congrats for making an excellent choice. Happy Anniversary & Congratulations, @AllyJay I hope someone cooks dinner for you (or you get taken out) tonight! That's such a lovely photo too! Happy Anniversary @AllyJay a lovely picture. Have a wonderful day. Happy Anniversary, I hope you have an awesome day today. What are you doing to celebrate? Hi there @Scaredycat...Having a quiet day watching Netflix and knitting. Today my life is boring...just the way I like it now. There's a reason the Ancient Chinese curse of "May you live in interesting times" applies.